A report from Experian from 2013 has shown that mothers with young children, when compared to the general population, are more active on social media; they’re more likely to log into their various social media accounts on a daily basis, more vocal participants, and more likely to shop using mobile devices. Of all the social media networks, Facebook is the overwhelmingly the network of choice for these mothers with young children according to an interview Mashable did with Suzanne Blackburn, a spokeperson for Experian. With mothers making up so much of the audience on social media and in social commerce, it’s no surprise that a growing number of mompreneurs are building businesses by selling products on Facebook. One app that helps mompreneurs to monetize their Facebook business page is Soldsie, a social commerce solution, which allows a business to directly sell to their Facebook fans on Facebook. A business just posts a product photo on their Facebook page and customers make a purchase by commenting “sold” and registering their email address. 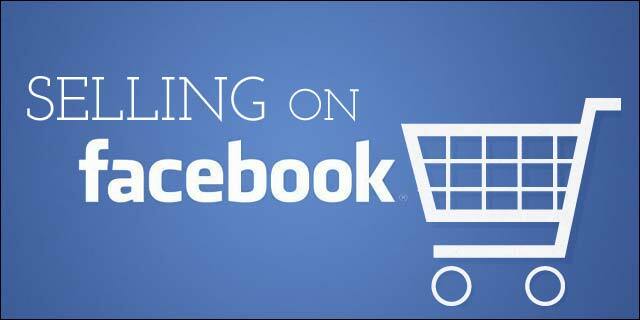 No longer do customers have to leave Facebook and go through a disruptive check-out process. This type of social commerce solution is successful as selling on Facebook is an inherently social endeavor. “Sold” comments, likes, and shares spread through networks and gain new followers for businesses. A mediabistro study shows that 74 percent of consumers do their research on social media before making a purchase, and 55 percent share to social media after buying. Mothers, especially, look to their peers for product referrals, trusting consumer reviews 12 times more than manufacturer descriptions, according to eMarketer. Word-of-mouth is tantamount for businesses like Smocked By StellyBelly, which sells traditional smocked children’s clothing. Founder Kristi Pecoraro, 30, told the Star-Telegram that the Facebook auction has been called “The Hunger Games of stay-at-home moms” who race to comment on limited-quantity items. Outside of sales, customers participate by posting photos of their children in their special occasion StellyBelly wear. Experts who have long discussed how to sell on Facebook, and whether it’s viable or possible, have an answer in mompreneurs who are building million-dollar businesses. The best part? These tech-savvy moms are carving out their own schedules and changing the way stay-at-home moms balance careers.